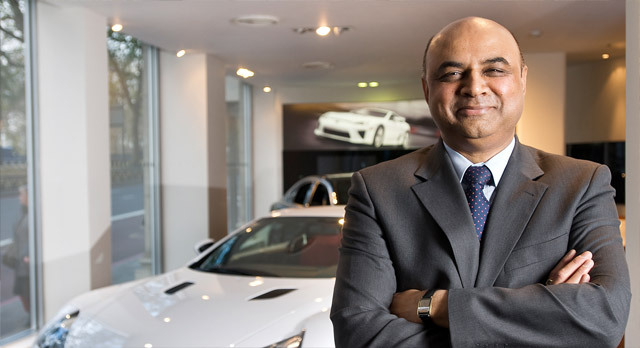 And it sounds like Varsani is off to a roaring start as well, having secured 25 deposits already on the 100 LFAs available to Europe. Also mentioned is that, unlike North America, all LFAs would be sold and not leased. For full details on purchasing an LFA in Europe, check out the full press release after the jump. The LFA looks like a spaceship out on the road with other cars. London has a new must-see attraction with the arrival of the Lexus LFA at Lexus Park Lane. The Mayfair showroom has been selected by Lexus as the centre for all European LFA sales, reflecting the car’s status as one of the most exclusive machines money can buy. The V10-powered supercar has attracted huge attention worldwide since its official launch at the Tokyo motor show and met with critical acclaim for its performance, handling and advanced design and engineering. Just 500 examples are destined to be built, with only a proportion of this total made available to European customers. “Since LFA was unveiled to the world last month, we have experienced a strong demand from prospective customers from across Europe. Lexus has drawn up a unique sales strategy for sales and delivery of the LFA in Europe, taking into account the car’s exclusivity and anticipating exceptional requirements from prospective owners. Prospective owners are able to make initial enquiries via Lexus Centres, Lexus national marketing and sales companies, or on-line at the dedicated LFA web site at http://www.lexus-lfa.com. These will be forwarded to and followed up by the Personal Liaison Manager and if the customer wishes to proceed, an “expression of interest” form will be completed together with payment of an initial deposit. Orders will be taken from March/April next year, with further consultation between the Personal Liaison Manager and the customer on their desired specifications and personalisation preferences, such as body and interior colours, wheel designs and equipment features. At this point an indication will be made of the potential individual delivery date: as each LFA is individually hand-crafted, deliveries to customers begin in 2011 and continue for two years. On signing a contract, the customer will be required to make a deposit. All European cars will be fully sold to the customer.